Hear from leading artists and creatives who have made South Australia their base for work and life. What are the benefits of living and working in South Australia and what are the downsides? Is it possible to have a sustainable creative career and what are the opportunities for South Australians at home, across Australia and overseas? Do you have to leave Adelaide and return to be recognised in your home town, or for some is it a case of leave and never return? What are the incentives that can attract creatives from other states and overseas to make a work/life career move to South Australia? Presented by Arts Industry Council of SA (AICSA) in partnership with Adelaide Festival. Supported by Arts South Australia. Ali Gumillya Baker is a Mirning woman from the Nullarbor on the West Coast of South Australia. She is a multi-disciplinary artist, performer, filmmaker and member of the performance group The Unbound Collective. Baker is a Senior Lecturer in the College of Humanities, Arts and Social Sciences at Flinders University and was recently appointed to the Artlink Board of Directors. She holds a Bachelor of Visual Arts (Hons) from the University of South Australia, Master of Arts (Screen Studies) and PhD in Australian Studies from Flinders University. Her research and teaching interests engage with colonial archives, cultural studies, memory and the intergenerational transmission of knowledge. As one of the founding members of Gravity & Other Myths, the world-renowned acrobatics and physical theatre company, Jascha has not only spent most of her life creating, performing and teaching new circus but has also developed the skills to run a successful business and after over twenty-four years of training, teaching and performing, she now focuses her creative passion and drive as a core member of GOM, pushing the boundaries of new circus through simplicity, honesty and innovation. 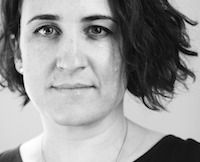 Jennifer Greer Holmes is a creative producer who collaborates with artists who work across music, live art, theatre, dance, video and urban renewal projects. She has been involved in the making of dozens of new works, many of which sit at the nexus of performance and installation. Her work is dark, irreverent and feminist. Jennifer is the manager and creative producer of two music-focused ensembles, Zephyr Quartet and Winter Witches, who each make stunning and acclaimed stage shows for intimate audiences featuring mesmerising lighting and design. She collaborates as a co-writer and director with the Berlin-based live installation artist Chris Scherer and has worked in partnership with LED and video artist Heath Britton for two decades. She is one half of the post-modern feminist duo Bad Jelly DJs. Jennifer curated the live-art installations ‘House and Garden’ (2016) and ‘Temple of Love’ (2017) at Port Adelaide’s St Jerome’s Laneway Festival. Jennifer has recently started working in a communication and development role with Sydney’s Branch Nebula. She is currently developing ‘Move Along’, an audio walk with performance interventions commissioned for the 2019 Singapore Design Week, as part of a UNESCO Creative Cities project. 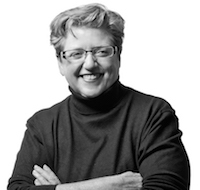 Creative practitioner with 32 years in industry, across film, print and digital. Dan joined Mighty Kingdom in 2013, focusing on creating business partnerships with major global brands like Disney, Moose Toys and LEGO to bring global opportunities into the vibrant creative community in Adelaide. A native of New York, Dan relocated to Adelaide in 2001 and joined Ratbag Games to produce computer games. He produced Saturday Night Speedway in 2004, and Star Wars: The Clone Wars: Republic Heroes in 2009. He also produced VFX sequences at Rising Sun Pictures, for the Australian feature film The Dragon Pearl. For a decade he edited comic book series featuring major characters such as Superman, Wonder Woman and Batman, and developed a line of comics based in the Star Wars universe, working directly with Lucasfilm. Dan graduated with a Bachelor of Fine Arts from The School of Visual Arts in New York City. At just twenty-eight, Paul Vasileff’s personal achievements include being named the 2017 Young Australian of the Year, showing at London Fashion Week 2010, and graduating from Milan’s Europeo Istituto di Design. The young boy who learned to sew with his grandmother now heads a label that has become a national icon, captivating clientele and media alike with his whimsical designs and expert tailoring. Vasileff is a welcomed member of both the Australian Fashion Chamber and the Asian Couture Federation. A perfectionist with a penchant for classic beauty, the Adelaide designer has impressed the industry with his skill and the scope of his creative vision. Vasileff has a hand in every facet of the business and designs every couture gown that the label manufactures in the South Australian atelier. 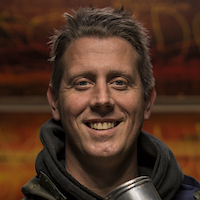 Chris Drummond is Artistic Director of Brink Productions. His productions have been presented by most major theatre companies in Australia. Credits include Memorial, The Aspirations of Daise Morrow, When the Rain Stops Falling and Night Letters (STCSA). He was nominated for a 2009 Helpmann Best Director Award for The Flying Dutchman (SOSA) and other productions have won Ruby, Adelaide Critics Circle, Green Room (Vic) and Sydney Theatre awards. In 2010 Limelight magazine nominated Chris one of the top 50 players in the arts in Australia. Robyn Archer is often referred to as a national treasure. She is known to many for her one woman shows in the 1970s and 80s, by others for her original songs and recordings, and now by thousands more for her memorable arts festivals in Canberra, Melbourne, Adelaide and Tasmania. Among her proudest recent moments was when Indigenous colleagues in the arts referred to her publicly as ‘aunty’ – a genuine measure of respect and acknowledgement of experience and wisdom. These days Robyn combines artistic direction with concert performance, strategic advice, mentoring younger artists and artistic directors, speaking and writing about the arts across Australia and the world. She is very much in demand. Emma started making shows for her mum in her bedroom when she was six. 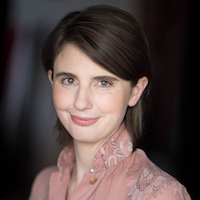 Since then, she has graduated from Flinders Drama Centre, worked in theatre, screen and developed a practice developing theatre shows from conversations with strangers, talking about the banal, funny, intimate and meaningful. The best of these moments Emma collects together to make a show, and is constantly seeking to replicate the joy and art of a great conversation on stage. James Dodd exhibits regularly across Australia in publicly funded institutions, commercial galleries and artist-run spaces. He works across a range of mediums with particular interests in painting, machines as art, graffiti, adventure and public space. He maintains a curiosity in sheds, backyards suburbia and the creative activities and transgressions that occur in these spaces. Dodd is active as an educator at Adelaide Central School of Art and regularly delivers youth and community based arts programs across a range of outcomes. Dodd is represented by Hugo Michell Gallery, Adelaide. Sophie’s debut-fiction film 52 Tuesdays(director/producer/co-writer) won the directing award in World Cinema Dramatic at Sundance and the Crystal Bear at the Berlin International Film Festival and was considered a breakout success. Her first episodic series F**king Adelaide, which she created, produced and directed screened at Berlin film festival and Series Mania earlier this year and is up now on iview with screenings on ABC1 next month. She produced and co-directed the acclaimed feature documentary Life in Movement, winner of the Australian Documentary Prize in 2011. She also works as a Producer and believes strongly in nurturing new voices. She was recently executive producer on A Field Guide to Being A 12-year-old-girl, the directorial debut of Tilda Cobham-Hervey which won the short film Crystal Bear at Berlin Film Festival this year. She previously produced feature documentaries Shut Up Little Man! An Audio Misadventure and Sam Klemke’s Time Machine, which both premiered at Sundance. She is currently directing feature film Animals, staring Alia Shawkat and Holliday Grainger, producing a feature doc by Maya Newell (Gayby Baby) and in development on a number of film and TV projects. She is a co-founder of film collaborative, Closer Productions. Is this the best of times or the worst of times to be an artist? There are more people than ever visiting galleries and museums, there are more and more music, film and arts festivals every year and online access makes the arts even more available. But what is the motivation and the reward for the artist? Those performers, filmmakers, writers, actors, visual artists, musicians and more who work tirelessly to create, present and fund their work. Are Australian artists and artists the world over pursuing their craft for love or for money? It could be said that artists are true entrepreneurs, they find opportunities, they secure investment and they find an audience for their work. But why aren’t artists valued more in our society, surely these are the people that entertain us, enlighten us and give meaning and hope in challenged and troubled times. How can artists build successful careers, become financially sustainable and be recognised for what they bring to our society? Presented in association with 2018 Adelaide Festival of Ideas and supported by Arts South Australia. Images courtesy the artists. Robyn Archer image copyright Rohan Thompson. Presented by the Arts Industry Council of SA and the Adelaide Festival, as part of Festival Forums with David Marr. The arts and cultural sector in South Australia is a key contributor to our state’s identity, employment, wellbeing, democratic participation, tourism and innovation. State investment in the arts, and in artists, reaps many cultural, social and economic benefits. 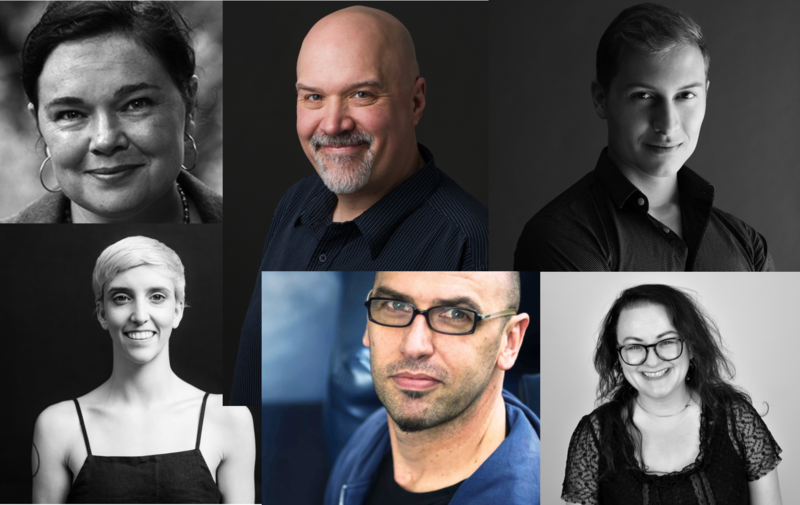 Hear parliamentary representatives and candidates from political parties contesting the March 17 state election discuss their visions and policies for the arts in South Australia, in conversation with journalist David Marr. The forum will include an opportunity to ask questions. 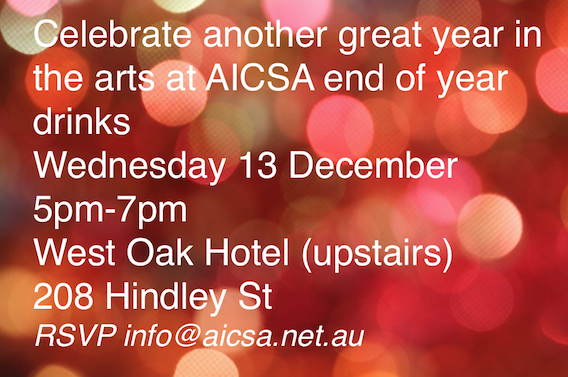 AICSA is pleased to invite you and a guest to end of year drinks to celebrate with friends and colleagues another great year in the arts. Join us as we also launch Creative South Australia and update on our 2018 state election campaigning. Light refreshments provided and complimentary drink on arrival (then Pay Bar). Arts Industry Council of SA invites the arts sector to gather for a briefing about the State Budget 2017-2018 and what it means for the arts and for artists. The gathering will also provide information about AICSA’s 2018 state election campaigning and how you can get involved. Free entry, register your attendance at Eventbrite here.